Looking for inspirational Serena Williams quotes that will help you rise up and chase your dreams? We’ve prepared a list of powerful Serena Williams quotes to inspire you to win and achieve success in your life. Serena Williams is one of the most decorated female tennis players in the history of the sport. She has won 23 singles Grand Slam tournament titles, four Olympic gold medals and made the ‘Forbes’ list of ‘100 Highest Paid Athletes’ twice. Besides, she’s won the ‘Laureus Sportswoman of The Year’ award three times and was named the ‘Sportsperson of The Year’ in 2015 by ‘Sports Illustrated Magazine’. Even with younger talent coming through, Williams still remains at the top. Her run to the 2018 Wimbledon final has shown that she can still compete at the highest level. Coming just 10 months after giving birth to her daughter, it proved what an incredible competitor she is. 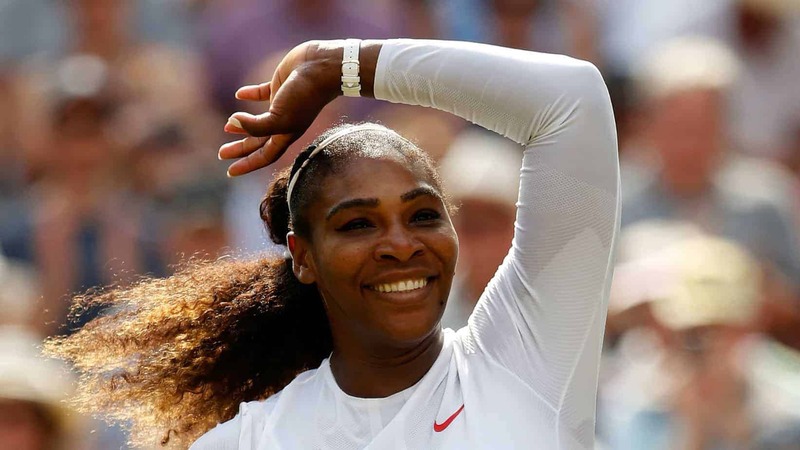 In that regard, here are some thought-provoking and inspiring Serena Williams quotes and sayings that will give you the strength to rise up and pursue your dreams. Did You Enjoy These Serena Williams Quotes? Serena Williams’ inspiring achievements prove that nothing is really impossible. In addition to being a tennis champion, she started her own foundation and designs her own clothing line. Williams is an incredible success and an inspiration to all of us. Whether you’re a struggling sportsperson or a thriving entrepreneur, these Serena Williams quotes have hopefully inspired you to become the best you can be. Did you enjoy these Serena Williams quotes? What other quotes from this tennis icon would you like to share with us? Tell us in the comment section below. She is an inspiration to me. The quote i like most and actually have pinned it on my study room is ” YOU HAVE TO BELIEVE IN YOURSELF EVEN WHEN NO ELSE DOES”. A strong one this is. Wish her the best. Such a amazing player. Her quotes inspired me a lot. Great personality she is. Love her game. She’s a great black lady tennis player that I use to admire, but never new she has such great inspirational quotations. May she remain an inspiration to our younger generations.